This post is by James Thomson and Joseph Hansen, Partners of Buybox Experts, a consultancy supporting brands selling on Amazon and other marketplaces. Thomson and Hansen are also co-founders of the PROSPER Show, a continuing education conference focused on developing training and best-practice materials for early-stage online sellers. 1P: Sell first-party, wholesale, directly to Amazon Retail, using the Vendor Central interface. 3P: Sell third-party to consumers through the Amazon marketplace, using the Seller Central interface (whether the brand sets up its own 3P seller account, or works with partner 3P sellers focused on the brand). Given the complexity of the Amazon marketplace, and the desire of brands to control their own destinies, we are seeing a significant move towards brands either setting up their own third-party seller accounts, or working with sophisticated third-party sellers who will manage the brands’ brand equity and product feeds, while respecting pricing and ensuring constant availability of product through the Fulfillment by Amazon program. In this paper, we discuss the key issues and trade-offs of selling wholesale to Amazon Retail vs. selling through third-party Amazon sellers, and outline the risks involved in each approach. The brand should have a “brand equity” plan for the Amazon marketplace – how do they want their products displayed on Amazon? What information is important to display? Even brands with tight control of their distribution channels find that their product still surfaces on Amazon somehow. It is important that they are properly represented so Amazon customers don’t get the wrong impression of the brand – proper images, product classification, titles, product descriptions, etc. are all important to ensure that customers aren’t disappointed. Quite often, uncontrolled third-party sellers put the minimum amount of time into creating a product listing, resulting in the products looking cheap, shoddy or confusing to customers. As a wholesaler to Amazon Retail, a brand owner can list their products accurately and completely, and ensure that their products are represented in the fashion that they want. And if the brand is willing to pay Amazon Retail substantially for premium product detail page merchandising (called A+ detail pages), they can get superior embedded images and videos on its pages – features not currently available through third-party listings. If working through a third-party seller or as a third-party seller themselves, the brand owner may have a slightly higher level of control over their brand (if they are proactive in submitting data), as they don’t have to deal with Amazon Retail deciding to alter the branded content for its own purposes (something that can be avoided if the brand owner submits data through the third-party Brand Registry program). Amazon Retail will state that it will honor a brand owner’s MAP policies. And yet, that is almost never true. Because Amazon Retail gives itself the “out” that it can match any other seller’s price (sellers on Amazon.com or other sales channels), it takes only one MAP violator anywhere for Amazon Retail to lower its prices and break MAP. Once the price erosion starts, it is very hard to get Amazon Retail back to MAP. And given that Amazon Retail’s long view means it is prepared to lose money on individual transactions, the price erosion often can go so far as to make the MAP price points meaningless as they are only intermittently followed on Amazon. As a third-party seller, the brand owner has 100% control over the prices they charge. If the brand owner instead works closely with a trusted third-party seller, that control over pricing can be tight, as long as the third-party seller honors the policy. Amazon Retail has been known to tell the story to brand owners that overall sales will grow substantially once Amazon Retail starts carrying the brand. Let’s break this claim down into a few different situations. First, if there are already third-party sales of the brand on Amazon, and now Amazon Retail starts carrying the product, yes overall sales may grow, but the majority of sales will shift almost completely away from existing third-party sales to Amazon Retail sales, where the brand owner has a lot less control over pricing. In situations where existing third-party sales are already processed through Amazon’s Fulfillment by Amazon (FBA) program, it is not likely that more incremental sales will happen, as customer conversion doesn’t increase much from FBA to Amazon Retail fulfilled orders. In situations where the brand isn’t sold at all on Amazon today, and now Amazon Retail starts carrying it, yes sales will grow from zero to something, but again the issue remains of how much control the brand owner will retain over its brand being sold through Amazon Retail. Amazon Retail will also set sales targets that it wants each of its brands to generate each year. If the sales aren’t happening, Amazon Retail will expect brands to spend on incremental merchandising, or else the amount of attention the Amazon vendor manager spends on the specific brand is likely to drop significantly, in favor of a brand that is spending on merchandising. If you sell through Amazon Retail, and you are not a big brand, good luck getting a hold of anyone regularly unless you are paying at least $250k for dedicated service. As a third-party seller, you most likely won’t get an “account manager”, but Seller Support does respond and fix problems with your listings and inventory and payments, etc. There is no comparably responsive Vendor Central Support like this for Amazon Retail clients. As a third-party seller, you have much more flexibility updating product images, titles, bullet points, description, whereas a wholesale client must have all of its images and content approved by Amazon Retail (and that part of Amazon is often a lot more conservative in what it allows). Amazon Retail will negotiate hard on wholesale pricing, and typically will ask for a payment of 4-10% to help cover so-called marketing or slotting costs. As sales increase, Amazon Retail may try to re-negotiate down for lower prices, or request more fees for marketing or on-going account support. On the other hand, when product is sold through the third-party channel, the commission fee that is due to Amazon is fixed by category as a percentage of the selling price (typically between 8%-20%), and there are no additional selling fees to consider. If the third-party seller is using Amazon’s FBA program, then there are other specific fulfillment costs, but those are competitive with the costs a seller might incur themselves fulfilling an order. All in all, we give the advantage to third-party, as costs are much more predictable. Selling to Amazon Retail is unlikely to create any new sales tax nexus for the brand, whereas selling as a third-party seller may create tax nexus if the brand is storing inventory in Amazon’s FBA fulfillment centers. On the other hand, if the brand has aligned itself with a third-party seller that does the actual selling, there is less likelihood that additional tax nexus positions have been created for the brand. Recently, Amazon Retail has been very vocal about this issue with prospective brands, potentially creating a scare for brands that don’t already have a multi-state presence. While additional tax nexus would require additional tax collection and remittance, there are very good external providers of these services for the Amazon marketplace, thereby making this issue manageable if the will to sell through third-party is strong. The best option differs on a case-by-case basis, but most likely an advantage for Amazon Retail. Selling to Amazon Retail will produce typical wholesale margins, while selling to third-party sellers will also produce typical wholesale margins (without any of the marketing or slotting fees that Amazon Retail charges). The wholesale margins will be squeezed over time, as Amazon Retail pushes for lower prices, or forces the brand’s hand by sourcing the same products at a lower cost through indirect channels. If the brand owner sells to third-party sellers, they will generate wholesale margins, without the cost of fees that Amazon Retail typically charges brands for marketing and on-going support. If the brand owner chooses to sell as a third-party seller themselves, that will produce retail margins, but there are obviously additional costs involved in running a B2C operation. There’s a big advantage for third-party here, if the brand owner is running an efficient B2C business on Amazon. If you are willing to pay Amazon Retail for additional merchandising, there are more merchandising options available through Amazon Retail than through the third-party platform. Keep in mind, that unless a brand is considered one of the top 10-15 strategic brands within a major category on Amazon (e.g., electronics, tools, apparel), Amazon Retail is not going to pay as much attention to them without the brand spending heavily on merchandising (the brand’s catalog will be treated as just more widgets to be added in the already massive 300+ million listings catalog). On a positive note as an Amazon Retail supplier, there are a large number of marketing and promotional tools that simply are not available to third-party sellers, including Brand/Store Page, A+ Detail Content, Vendor Powered Coupons, Headline Ads, and the Amazon Vine program. While a third-party seller can create a pricing promotion, creating awareness of that pricing promotion is very difficult, though Sponsored Product Ads and Amazon Marketing Service programs can be used to drive awareness of third-party offers. Interestingly, third-party sellers are more able to be proactive in soliciting feedback from customers than if they were first-party wholesalers to Amazon Retail. And because recent feedback greatly helps with the A9 search algorithm within Amazon, it’s easier for a third-party seller to help itself with higher search results on Amazon through proactive feedback requests. We know of examples where third-party sellers started selling wholesale to Amazon Retail, and saw their search results drop significantly relative to existing third-party competitors that were still able to solicit feedback. That being said, the marketing and promotional opportunities certainly favor Amazon Retail, even if the wholesaler has to pay for these advantages. It’s quite common for Amazon Retail not to manage to be in stock all the time, often unpredictably leading brands to have no product coverage. Amazon Retail often seeks to get the full catalog from a brand initially, but will slim down what it carries over time, though rarely will it notify the brand that Amazon Retail has chosen to stop carrying certain items. On the other hand, if the brand is selling through a third-party seller or as a third-party seller themselves, the brand has complete control over when and what product is made available for sale on Amazon. If you are selling to Amazon Retail, you will likely need someone to check orders and periodically review product feed data to make sure it’s current and accurate. Through Amazon’s APIs and the Vendor Central portal, the process of keeping on top of inventory is reasonably straightforward. If selling to third-party sellers, the process of wholesaling is no different than most other wholesale channels. If selling as a third-party seller, then you will need to have staff dedicated to handling customer inquiries, individual order processing, inventory replenishment, pricing, product feeds and so on. A good third-party seller partner will, of course, be able to handle all of those responsibilities within their current operations. While Amazon Retail typically offers 2% Net 30, Net 60, or Net 90 terms, third-party sellers are typically paid every 14 days or every 7 days. Some brands selling to Amazon Retail have been asked to hire third party companies to provide proof of delivery documents to Amazon, to show that inventory actually made it to Amazon’s fulfillment center, before payment would be issued (even though the inventory balances in Vendor Central accurately reflected receipt by Amazon). Others were told that they needed to pay Amazon $25K in co-op fees in order to receive about $250K in accounts receivable (Amazon refused to just deduct the co-op portion from the company’s receivable balance). We have never heard of third-party sellers in good standing having problems getting paid. When the seller gets paid on a timely basis, cash flow management is much easier to do, and so investments in further growth can happen. When payment isn’t made on time, the implications to a business can be staggering, and we have seen first-hand how highly leveraged companies have had to let go of staff and drop acquisition plans all because of an unexpected delay in payment. Amazon Retail is EDI-based, and arguably antiquated for receiving POs, acknowledging, and processing. Amazon Retail also requires wholesalers to break up shipments to often as many as a dozen fulfillment centers. Amazon Retail does provide inventory forecasts for suppliers, but only for 60 days in advance. The third-party FBA replenishment system allows sellers to palletize and ship to 3-4 fulfillment centers. Third-party sellers must forecast inventory demand themselves and create replenishment orders regularly to stay stocked. The tradeoff here is an easier fulfillment process for third-party sellers, but Amazon Retail takes the burden of forecasting and creating replenishment orders for wholesale suppliers. Amazon Retail Analytics do cost extra but offer valuable insights – such analytic capabilities are not available to third-party sellers. But the third-party Seller Central portal produces much better accounting and general sales reports than Vendor Central. If the brand owner sells to Amazon Retail, Amazon takes care of all customer service, including customer and competitor fraud issues. If the brand owner sells to other third-party sellers, customer service becomes the responsibility of the third-party seller, where there can be a lot more variability on delivering customer service adequately. If a third-party seller uses FBA, Amazon will help with many of the customer service issues, but the seller still has to deal with customers (or competitors posing as customers) making false claims about receiving fake products. Given that most brands have a wide range of competitors also on Amazon, it remains more challenging to counter dishonest competitors if the brand uses third-party sellers or sells third-party themselves. If you sell to Amazon Retail, you cannot use the same inventory to fulfill multi-channel orders, whereas if you sell through a third-party seller account using FBA, you have the option of using multi-channel fulfillment. This may not seem like a big deal in most cases, but many brand owners seeking to build a multi-channel sales strategy don’t want to split inventory or have to deal with individual order fulfillment capacity as its overall business grows. If you sell to Amazon.com Retail, you are dealing only with the US marketplace, so your products will be sold only on Amazon.com. If you want to wholesale into Amazon.ca or Amazon.com.mx, those require separate vendor discussions. Fortunately, if you are selling through a third-party account (whether with FBA or merchant-fulfilled orders), you can create a unified North American account (covering Canada, Mexico and the US) and a unified European account, and sell into multiple marketplaces from those accounts. When a product starts being sold on Amazon (whether through Amazon Retail or third-party sellers), Amazon will start bidding on pay-per-click keywords that it believes will drive customers to the Amazon site. If a brand owner sells only through their own website, they will face new competition for the keywords on which they spend PPC money once the brand is being sold on Amazon. However, these same keywords are likely already being bid on by Amazon for competitive products, so we do not see this as a big deciding factor. Brand owners that sell on their own websites worry that selling on Amazon (either through Amazon Retail or third-party) will decrease the sales on its own website. It is usually the case that some sales decrease will happen, but there is usually a big increase in overall sales, as the brand is now exposed to more than 160+ million US customers that are already shopping for competitive products on Amazon. So Who Wins: Vendor Central or Seller Central? Today, the number of benefits of selling as a third-party through Seller Central outweigh selling directly to Amazon Retail via Vendor Central. While any one benefit of selling through Amazon Retail may carry enough weight for a brand owner to select it over a third-party seller relationship, the choice of distribution is a complicated one to make – and will have ramifications across a brand’s whole distribution strategy. In previous roles, James Thomson was the former head of Amazon Services (a division of Amazon that recruits 100,000 new sellers to the Amazon marketplace each year), the first FBA account manager, a banker and management consultant. He earned a Ph.D. in Marketing from the Kellogg School at Northwestern University. Joseph Hansen is a seasoned entrepreneur and ecommerce expert based in Utah. Hansen has hands-on experience in conceptualizing, creating, and selling several profitable businesses, and his current companies aim to share that knowledge with others in the ecommerce space. As a seasoned entrepreneur, Hansen has also co-founded Flirty Aprons, Lullabibs, and Sentrik. He holds a Bachelor’s degree in Exercise Science from Brigham Young University. Really great article James and Joseph! Got some solid answers to questions I myself have been pondering leading up to the Prosper Show. Look forward to meeting you both in a few weeks. Very well written article. One thing I feel that should noted is that technically speaking the seller does not need to make a choice between 1P and 3P. They can if they choose to do so use a Hybrid approach that if done properly can accelerate growth dramatically. Do you have any examples of brands that have implemented the hybrid approach successfully? If you could share any details you have about this approach then that would be great. If you want an intro to the author, feel free to contact me via the Contact Us link in the site footer. One thing you left out: Amazon’s product availability policy for manufacturers. If you are a brand and you sell the product to any other retailers, Amazon reserves the right to require you to sell it to Amazon Retail. They absolutely exercise this policy for products that sell well. Do you know of any manufacturers that Amazon has removed from its site because of violation of this policy? Any other pertinent info? As a long time 3rd party seller, one thing I think is an advantage is not having to sell everything with free shipping, a required through 1P/FBA. Things that often sell in multiples benefit when shipping is calculated by weight. This is a very informative article. In addition to the above, Vendor central expects suppliers to be EDI ready. Amazon will send EDI orders and expects suppliers to provide Advance Shipment Notice, Invoices in EDI Format. Absolutely not true. I manage the Amazon business for 20 vendors (VC). 2 of them use EDI. EDI is entirely optional on VC. Great summary! However, I didn’t see any mention of Amazon Prime in the post. Where does that program fit in the 1P vs 3P decision making process? Is it neutral now that 3P vendors have a Prime fulfillment option? What about access to the prime membership database? I like your article as well. how do you feel about a hybrid version- a cross between 1.and 3 party? My name is Nathan Hirsch and I am the owner of FreeeUp.com, the hands-on solution to hiring remote eCommerce workers. I’m reaching out because our clients are demanding vendor central experts and Im wondering if there is anyone in this group who knows VC very well and is interested in consulting for our clients. If anyone is interested, I’d love 5 minutes of your time to speak about how FreeeUp works and see if the opportunity would be right for you. We currently operate a Vendor central account and have never had a seller central account. My question is if it is possible to create a seller central account while we still have a vendor account. 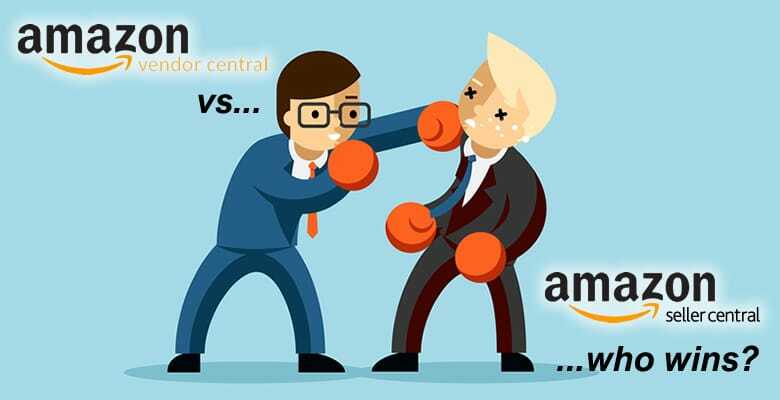 Is it against amazon’s policies to have both a vendor central and seller central account? You can have both a seller central account along with your vendor central account. It is not against Amazon’s policies to do so. If you need help getting your new account set-up or have any other questions please don’t hesitate to reach out to me. I work with FreeeUp a great remote hiring company that provides both vendor central and seller central trained consultants. Thanks for the insight. I use vendor central and want to change to exclusively to seller central. Having MAP issues like you described. My issue is that Amazon has quite a bit of my inventory. Do you think Amazon would have an issue transferring all of my inventory to an FBA arrangement. Any other issues I should be aware of. We are looking into this same issue. Let me know if you have found any information on this! Would like to switch all units from VC to SC and are trying to figure out what to do with current VC inventory. If we should buy back, can we switch to FBA, or let it run out then sell on SC. You will have to sell through the VC inventory…you can ask Amazon to return it to you, but they rarely agree to do so. If Amazon were to return it to you, they would physically send it to you, meaning you’d have to send it right back into FBA. Has anyone ever dealt with switching from VC to SC? We have a brand that sells one line on VC and one on SC. We would like to transfer all to VC but aren’t sure of the best way to start this process as we have a lot of units in VC. Think it is best to catalog these ASINs into SC and wait for VC inventory to run out? Should we see if we can purchase the units back from Amazon? Is there any way to convert these units in VC to FBA units? We are on VC and have enormous counterfeit problems and delays in takedowns and enforcements. SC has the Brand Registry system, which would probably benefit our company. Does anyone have experience with the Brand Registry system? If it offers more protection to the Brand Owners, then why wouldn’t we sign up with SC instead? Sadly Brand Registry doesn’t fix the counterfeit problem either. In fact, as a third party seller, you need to do all the testbuys, and file all the infringement tickets, and that is a never ending process if you have been targeted by counterfeiters. Amazon has a huge problem on its hands across all of 1p and 3p. Lots of pilot project work under way inside Amazon to fix, but only testing at this time. We find that items sell better with Vendor Central. However they keep coming at you with unreasonable demands for more fees and discounts over time. The first year the terms are good but it goes downhill after that. We are considering moving back to FBA or FBM. I have seen all sorts of brands be successful short term using Vendor Central . But as the brand sells better and better on Amazon, new issues creep up that cause the brand to lose control or margin, issues that are more easily managed through Seller Central. If you are a brand that can make Vendor Central work long-term for you, that’s great but unusual, in my 10 years experience dealing with brands on Amazon. I have seen all sorts of brands be successful short term using Vendor Central. But as the brand sells better and better on Amazon, new issues creep up that cause the brand to lose control or margin, issues that are more easily managed through Seller Central. If you are a brand that can make Vendor Central work long-term for you, that’s great but unusual, in my 10 years experience dealing with brands on Amazon. The only issue we are seeing is they are trying to add a bunch of new fees, go from 60 to 90 day terms, etc…with absolutely no enticements offered. As a manufacturer, how difficult is it to move back to FBA or FBM? Nathan Grimm raised this point above. I’d just as soon move back, the terms they are proposing are ridiculous at the start of year 2 and it would only get worse with more new concessions being asked for every year after this. Is there any exclusivity by being a 3rd party seller central user vs. 1p in vendor central? Meaning- I dont want anyone else selling my products on Amazon as a 3rd party? To avoid Amazon requiring to sell to them, you can make your terms very restrictive for everyone. No Net Terms or Net 14 days with penalties for late payment. No returns, etc. etc. Commitments to purchase x-amount over 12 months or face a penalty of X. etc. You have the right not to enforce at your discretion. I’m curious if there is a directory of 3rd party vendors for Amazon? or how to get in touch with a 3rd party vendor?